Home›Blog›What are the reasons for the unsuccessful assembly of PVC lay flat hose? What are the reasons for the unsuccessful assembly of PVC lay flat hose? 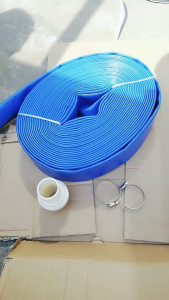 PVC lay flat hose is to be assembled in the process of use, assembly to select the appropriate size joints, installation and matching use, the end to be processed into a circle. What if there is no assembly? If the joints are not assembled in PVC lay flat hose, please apply grease on the joints and PVC lay flat hose. Do not use fire or hot water to heat the joints, and leave some room for fastening to prevent damage to PVC lay flat hose. Also, in the process of use, it is necessary to implement a periodic inspection system. The service life is affected by the physical and chemical properties, temperature, flow rate, pressure and amplitude frequency of the bearing body. If abnormal symptoms are found, the replacement should be stopped immediately. The previous article：What accessories do you need for PVC lay flat hose to use? 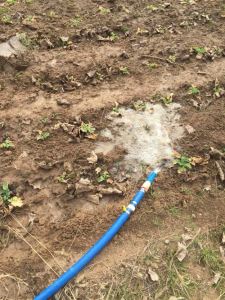 The next article：What is the technique of winding up PVC lay flat hose?